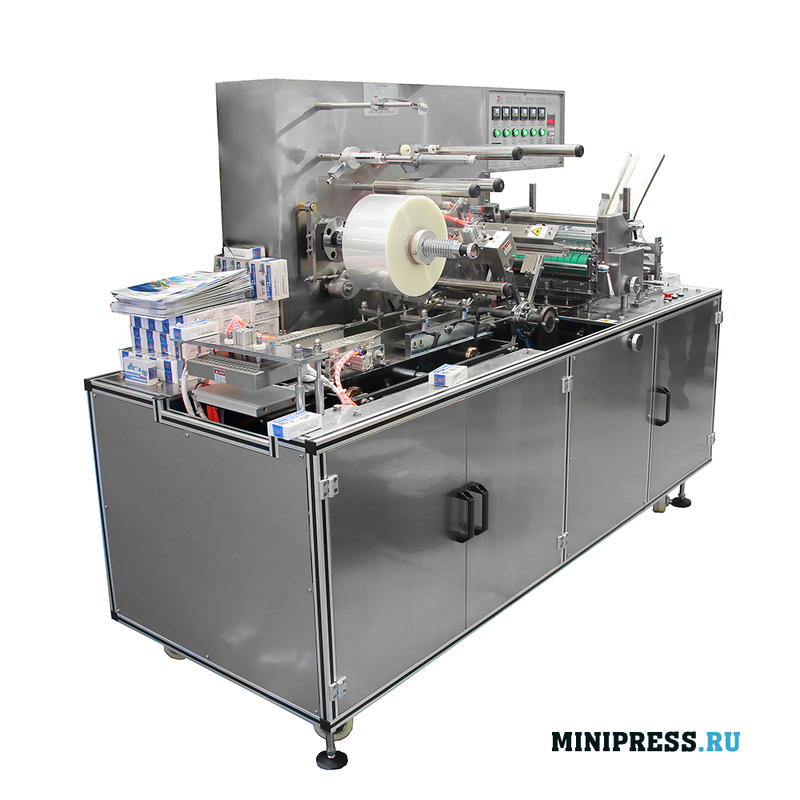 Каталог / Packaging Equipment / Archive by Category "Machines for wrapping with cellophane"
Automatic machine for individual wrapping cellophane cardboard boxes with medicines and cosmetic products. The average productivity is 60-120 boxes per minute. 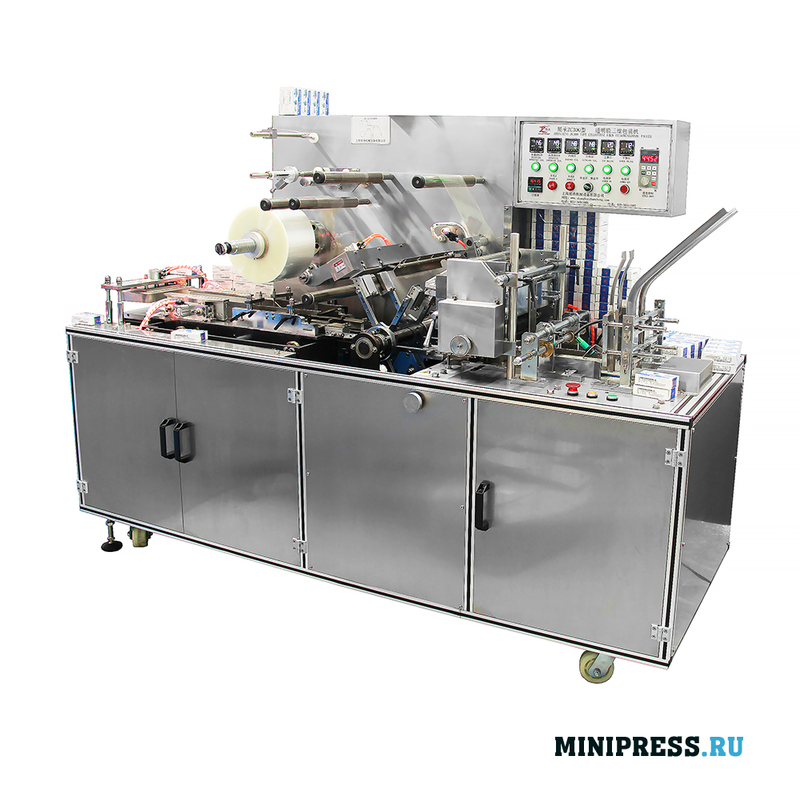 Automatic feed of boxes. 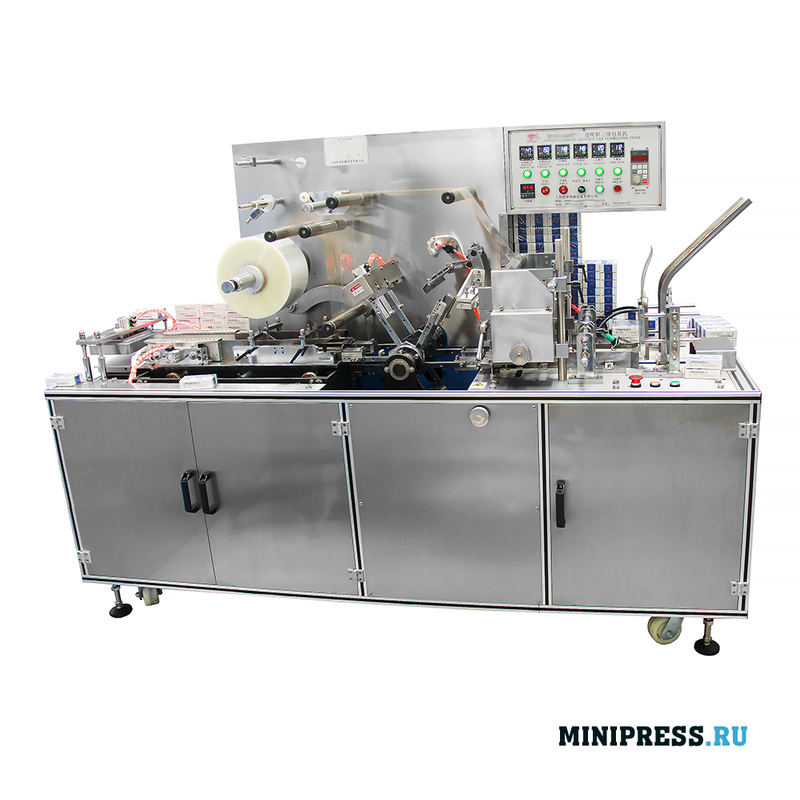 Suitable for use in the pharmaceutical industry for the cellophane packing of tablets and gelatin capsules. Weight 500 kg. 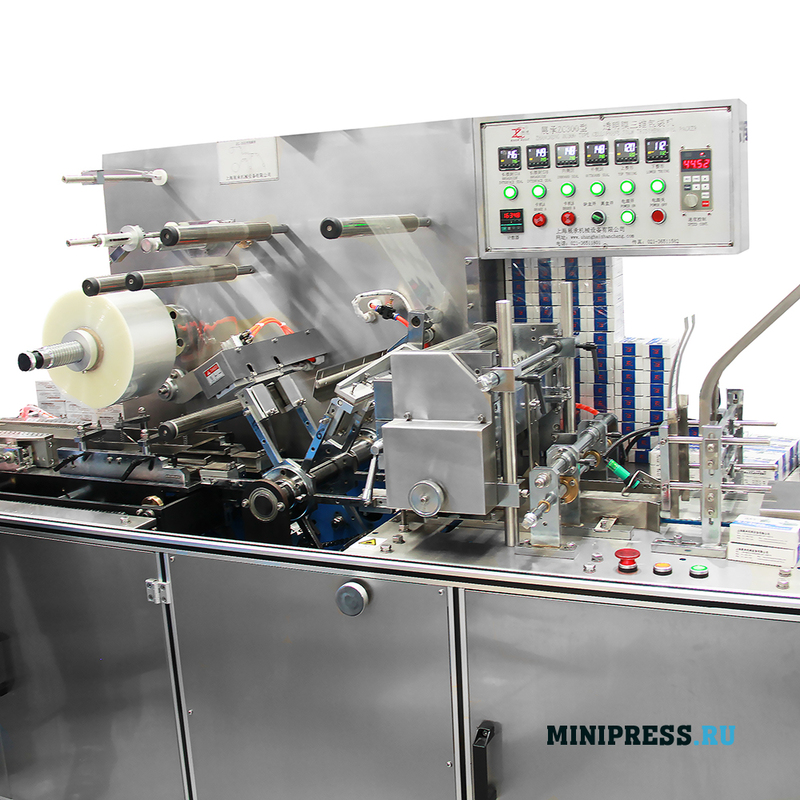 Maximum automation of all processes.